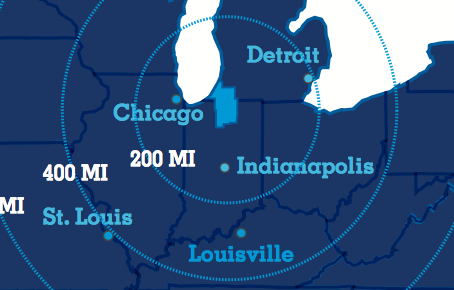 We’re proud to say that South Bend - Elkhart Region encompass 47 smart , connected communities in northern Indiana and southwest Michigan, and is strategically located 90 miles east of Chicago my car or train. Plus, we are on the beautiful eastern shores of Lake Michigan, along the I-80/90 corridor at I-94. In less than an hour's drive, you can find yourself at a beach along the sand dunes of Lake Michigan or, in the other direction, enjoying quaint Amish Country.